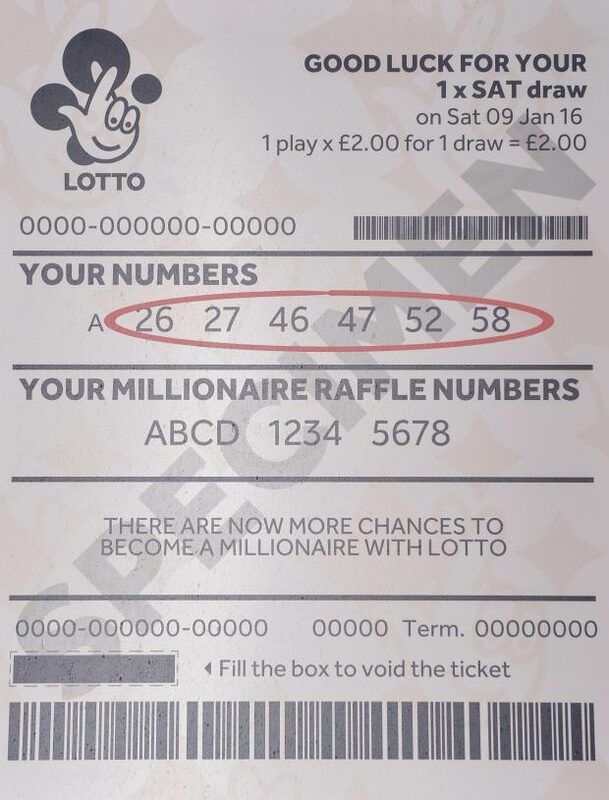 Over the weekend, the Lotto roll-over reached a life-changing £66 Million pounds for a lucky winner to snap up and enjoy. However the lucky numbers that matched those that were chosen on the night showed up to match 2 different tickets, meaning the huge £66 Million was to be shared between the two lucky winners… and this is where we meet the unnamed lady from Worcester who claims she is one of those lucky winners that is now owed a huge £33 million. Now this isn’t one of those crazy claims that aren’t very realistic and just a desperate attempt for a taste of that wealth, but there is actually a lot of evidence to point towards the fact that this could be a real story and not a ‘the dog ate my ticket’ attempt to be a winner. The lady from Worcester said she had tried desperately to dry the ticket after putting it in the wash in her jeans back pocket, however after the short spin the barcode and date had washed off only leaving the correct numbers and ‘2016’. She spoke out saying, “I’ve been a nervous wreck. I haven’t slept all night. Since I found it in my jeans pocket, my daughter and I have been drying it out with a hairdryer. You can see the 2016 but not the date.”. 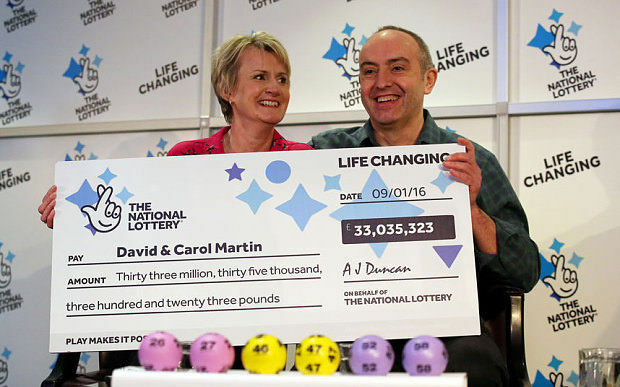 In order for this woman to be able to claim the giant jack pot she has to be able to prove the date she purchased the ticket, the location and the estimated time, as this information can be sourced by the National Lottery, Camelot themselves. Once more, she has been requested to send the washed remains from the ticket to them in order to be analysed and investigated further. 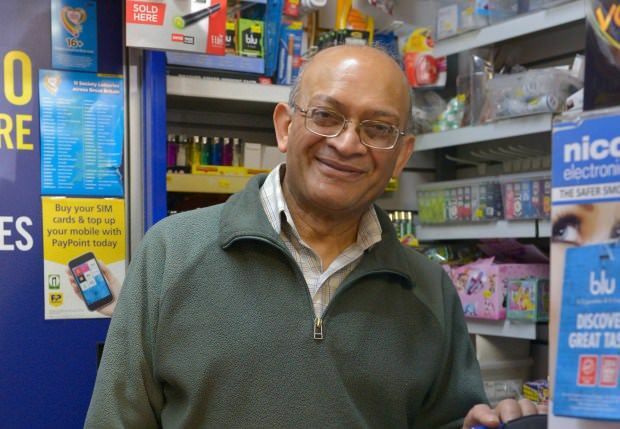 The owner of the rumoured shop that the ticket was bought from was Natu Patel who runs the Ambleside News. He was happy to speak to the press saying, ‘Camelot called me to say that the press might contact me. It was completely out the blue and it sounded quite mysterious. Unfortunately, I have no way of checking if the winning ticket was bought here unless I scan it. We have sold many winning tickets before, but only for £25,000 or £20,000. It would be wonderful if it was bought here. I would be very, very happy. It would be great for the community. The winners are very lucky.”. Now it is a case of the waiting game to see if this woman’s life has really changed for the better and she can join the likes of A-list celebrities with matching bank accounts! The other winner to the £66 million is already enjoying their share of the jackpot. My name is Luke and I have a huge passion for all things technology and generally geeky. I also enjoy learning about all sorts of random facts that I can bring up as conversation starters... to maybe deter possible friendships. I'm open and always excited about new things. Previous articleHow Adele Managed to Outplay the Gamers! Should The Elderly Be Allowed To Drive? Most people pick up one of these tasty coffee's daily, whether it is on the way to work or a go to catch up the venue, but do you really know all the tricks of the trade and are you being sold short with your already probably overpriced latte? Check out some of the tricks of the trade here! Bread Pitt, Nomino's and many more! These are the most sizzling celebrity Twitter feuds of all time and guess who is the main star? We have collected some of the most breathtaking and mind boggling images captured from space, here they are. What’s Social Media Going To Be Like In 10 Years’ Time? Is It The Same What You Think? What’s social media going to be like in 10 years’ time? Will it be the same as it is now or can we expect it to be radically different? Find out what we think. Should Singers Write Their Own Songs? 11 Incredibly Iconic Landmarks Before They Were Finished – #5 is Unbelievable! Before you see these landmarks in real, take a look at these photos before they were finished! This Hilarious Video Sums Up What It’s Like Trying To Find A Job In This World! Everybody thinks that if somewhere is hiring that if you go in, you will get the job. However, many companies these days require so much more than just a simple CV that says you can speak the right language and you have a little knowledge in the field you're applying for.